Immigration lawyer Catherine Cosgrave has been appointed to a key national body bringing together stakeholders in children and young people’s policy and provision. 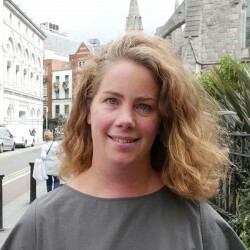 Ms Cosgrave, managing solicitor at the Immigrant Council of Ireland, was appointed alongside five others to the national advisory council for the “Better Outcomes, Brighter Futures” policy framework. Better Outcomes, Brighter Futures represents the first overarching national children’s policy framework covering all children and young people up to 24 years old. It adopts a whole-of-government approach and is underpinned by a number of constituent strategies in the areas of early years, youth and participation.